Microsoft opened up Windows Phone to lots of new hardware makers this year, so we’re seeing an increasing number of WP handsets coming from smaller, or lesser-known manufacturers. While China’s Hisense is not a small company by any means, it’s not usually associated with smartphones. Still, Hisense recently unveiled its very first Windows Phone 8.1 handset, called MIRA6. The MIRA6 was announced in China, and it doesn’t look like it’s a finished product, as the renders released by Hisense are showing a device with Android soft keys on the front. Overall, the 7.18mm-thin design of the MIRA6 borrows a lot from Apple’s latest iPhones. According to Hisense, its first Windows Phone 8.1 handset will feature a 5-inch display (unknown resolution), a 5MP front-facing camera, 8MP rear camera, and a quad-core 1.2GHz Snapdragon 200 processor. 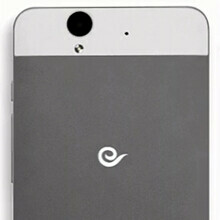 The device will come with 1GB of RAM, 8GB of internal memory, and microSD card support. Hisense will launch the MIRA6 in China later this year (with no word on international availability). Fits the OS well; boring and flat. Boring and Flat yet everyone is copying it, guess they are all boring as well. You should see a doctor, you may have suffered a concussion. No hardware camera key, no deal. Not that I'm the target customer, but the point stands. A real two stage shutter button instead of a screen press or volume key work around is great, I have zero desire to have a device without one. Get a Z2. I promise you won't regret it.